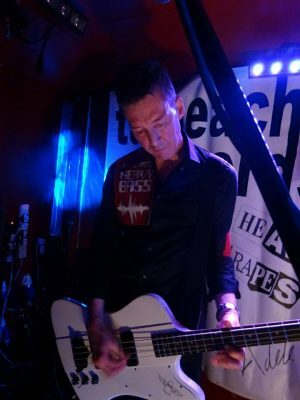 Last weekend, Vive Le Rock went north of the border to co-promote a show at Broadcast in Glasgow featuring three of Scotland’s finest up’n’coming punk bands. Neil Hodge was there to review the proceedings…. Take a Saturday night in Glasgow, a NYC record label, add three of Scotland’s premier punk bands, an intimate venue full of enthusiastic punters and you have the recipe for a superb night out. This was a hotly anticipated sold-out gig, with people travelling some distances to attend (Dublin, England, North of Scotland). They were most definitely not disappointed. Tarbeach Records label-mates ReAction, Heavy Drapes and The Zips came together to provide a high octane, hundred-mile-an-hour punk rock romp. The running order had been kept under wraps beforehand to ensure maximum attendance for all bands and the ploy worked. The venue was rammed and the atmosphere was palpable as Airdrie’s peerless ReAction kicked things off in vigorous style with a selection of tracks from their debut album and recent EP. Opening up with ‘Dead Boy Racer’ the pace started at break-neck speed and didn’t let up throughout the set. The now familiar songs in the set were bolstered by some raucous new material including ‘Kamikaze Baby’, a song about Debbie Juvenile from the original Bromley Contingent, and closed with audience choice, their energetic version of External Menace’s ‘Someday’. By the time they left the stage packed-out venue was now a veritable sweatbox. There was no time wasted between bands and shortly after ReAction exited stage left it was the turn of Edinburgh’s Heavy Drapes. The band took to the stage with frontman De Liberate making his now familiar declaration “We’re Heavy Drapes and we are punk rock,” before launching into their musical manifesto with ‘Number 1’. Fresh from a triumphant gig on Rebellion’s main stage, this was the first gig for ex-Scars guitarist, Paul Research. He has certainly brought a new vibrancy to the band who were on blistering form. It was a colossal assault on the senses from start to finish. The set included all the now standard Drapes tracks – ‘Into the Blue’, ‘Janie’ – with the crowd in great voice too, especially on tracks like ‘Let’s Free The Working Class’ and set closer ‘(I Wanna Be) Maladjusted’, every song going down a storm with the partisan crowd. 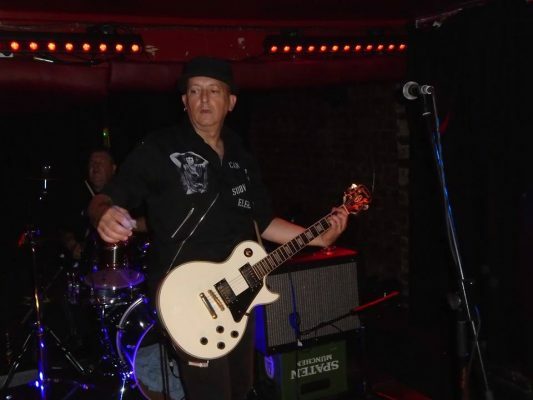 It was down to seminal Glasgow punk legends The Zips to close proceedings. We were treated to a career-spanning set starting with the topical ‘Hear, Hear’ and ‘Thin Blue Line’ from the latest album. The tempo of the evening was kept up with the likes of the high-spirited celebration of ’40 Years of Punk Rock’ and the first live outing for older song ‘Take Me Down’, which features on Gary Crowley’s upcoming punk and new wave compilation, through to set closer, early single ‘Don’t Get Pushed Around’, The Zips jolted the already exuberant crowd into another level of euphoria, the resultant jubilation saw the night ending with a stage invasion. 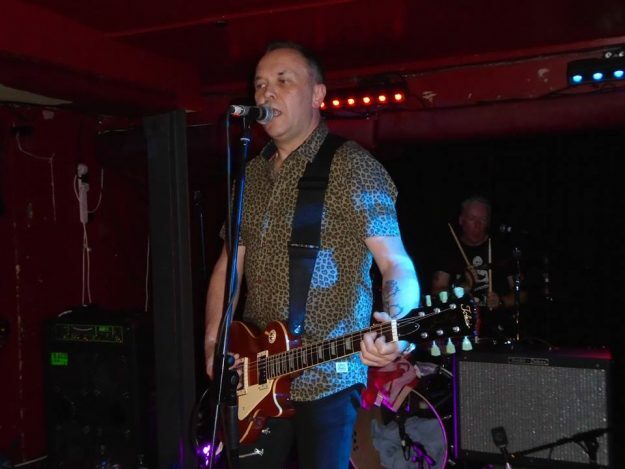 With new songs, imminent albums and forthcoming gigs a-plenty from all three bands, the future looks dazzling for Scottish punk. If you haven’t already done so, seek them all out – or stay at home staring at your navel, the choice is yours. ‹ BBC TO SCREEN NEW BOLAN DOC! Damn fine review of a damn fine night of punk rock, in all shapes and forms!